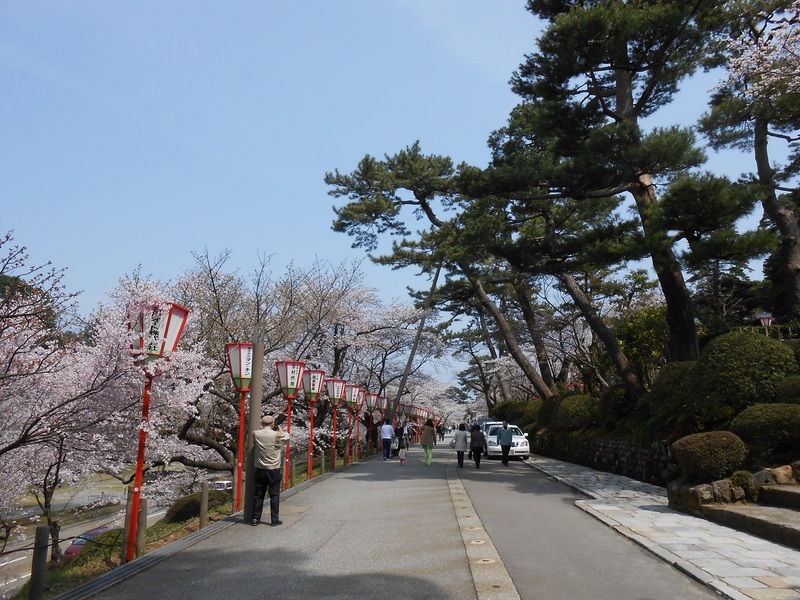 Kenrokuen garden - Kanazawa castle park - Higashi-chayagai Entertainment district and gold leaf workshop. Optional tour can be taken under negotiation. 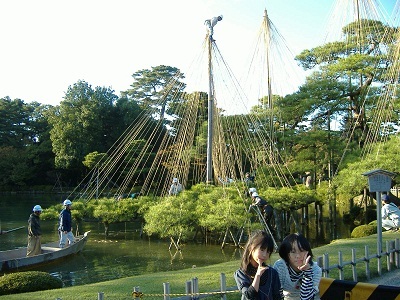 Admission fee/person: Kenrokuen garden \310. Transportation fare/person \500 one-day loop bus ticket. Tour starts at 9:00 a.m. and ends 1:00 p.m. Meeting time and place is 8:50 at your hotel lobby in Kanazawa. The starting time can be arranged between 9 a.m. and 1 p.m. based on negotiations. 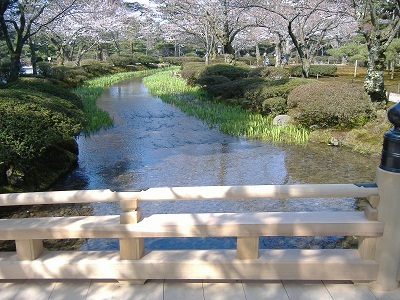 The Kenrokuen garden is one of the three most famous Japanese gardens. The garden was designed to reflect the desire of the feudal lord Maeda, the second largest local lord after the Tokugawa shogunate. The 5th lord Maeda started the construction in 1676. It was expanded to the present largeness by the generations of the lord Maeda. 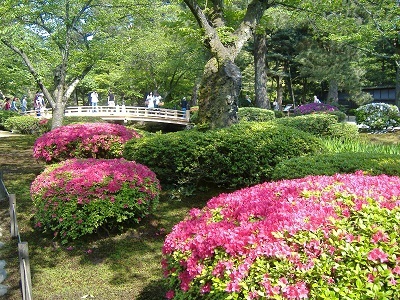 The garden is a strolling-style landscape garden. The garden has six characteristics, which is the origin of the name of the garden. They are spaciousness, the atmosphere of deep mountains and valleys, meticulous gardening technique, long history, abundant water and wide view. We also walk to Kanazawa castle enclosure to see Ishikawamon gate, newly restored Hishiyagura watch tower and Kahokumon gate.